Come on members! I am there waiting for ya! 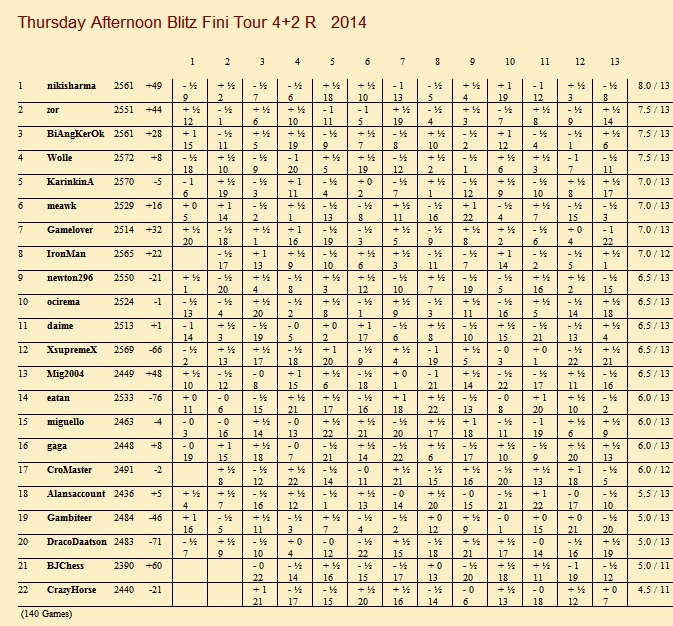 It is no more an empty room, with a lot of tournaments everyday, with money prize sometimes. Opponents using 6cores/8cores/12cores/16cores/24cores. Stopping progging in sites where using program is not allowed! * leave the program in "Automatic challenges" and/or "Automatic accepts"
My 1st tour there, rank 12 hehehe I hope they make 1/1 or 2/2 tours more often. Join in and have fun!!! 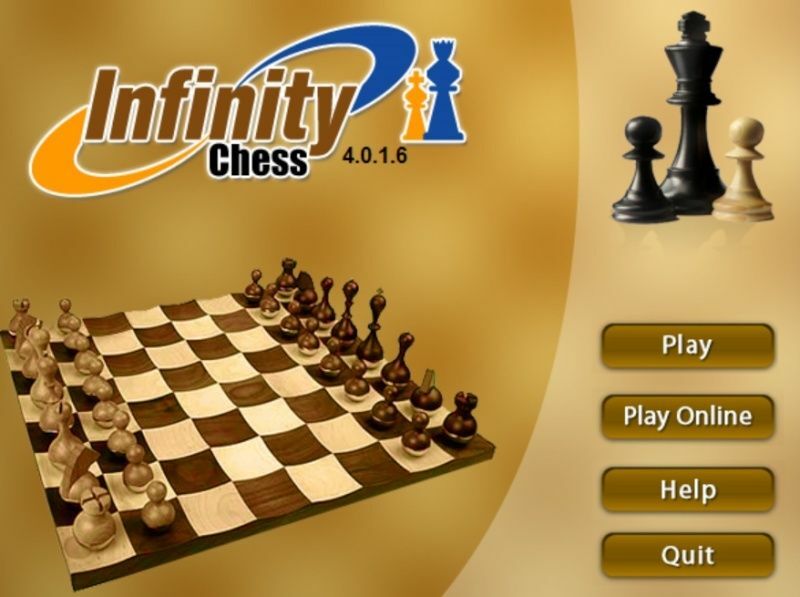 I've downloaded and install infinity chess. Already create the account. But how can I use my engine to play online against another engine? I have solved it after trying for about 5 minutes. And its great to play there. You can test your engine+configuration+book. However, too many players with super strong hardware with 12 cores against my 4 cores only. But at least I can still draw and win some games. You can save the game if you want. For Using Ctg Book in Infinity Chess GUI, you need to install Infinity Chess on these paths. 64 bit computers: The installer will install to C:\Program Files (x86)\InnovativeSolutions if you change path then you will not be able to use CTG option. 32 bit computers: Please change the installer path from C:\Program Files\InnovativeSolutions to C:\Program Files (x86)\InnovativeSolutions to be able to use CTG option. I am having problem at Infinity Chess. My Opponent's Time finish but nothing happen. The only things that I can do is to resign when I am suppose to win. Cant even claim win. @hafaba wrote: I am having problem at Infinity Chess. My Opponent's Time finish but nothing happen. The only things that I can do is to resign when I am suppose to win. Cant even claim win. It looks like a clock vulnerability. How long did he stall? You wait 5 minutes to then claim the win, and when you press the submit button, your opponent wins? I cant click the Claim Win even after the opponent's time 0.00 and I wait for about 5 minutes. The Claim Win button disabled. The only way that I can do is to resign. @hafaba wrote: I cant click the Claim Win even after the opponent's time 0.00 and I wait for about 5 minutes. The Claim Win button disabled. The only way that I can do is to resign. Try waiting for an additional 5 minutes after the game ends. Many servers do this as a fail safe in case of "accidental disconnection". Use a stop watch to count by. If I am right, the Claim Win Button should be enabled after that initial 5 minutes to reconnect. 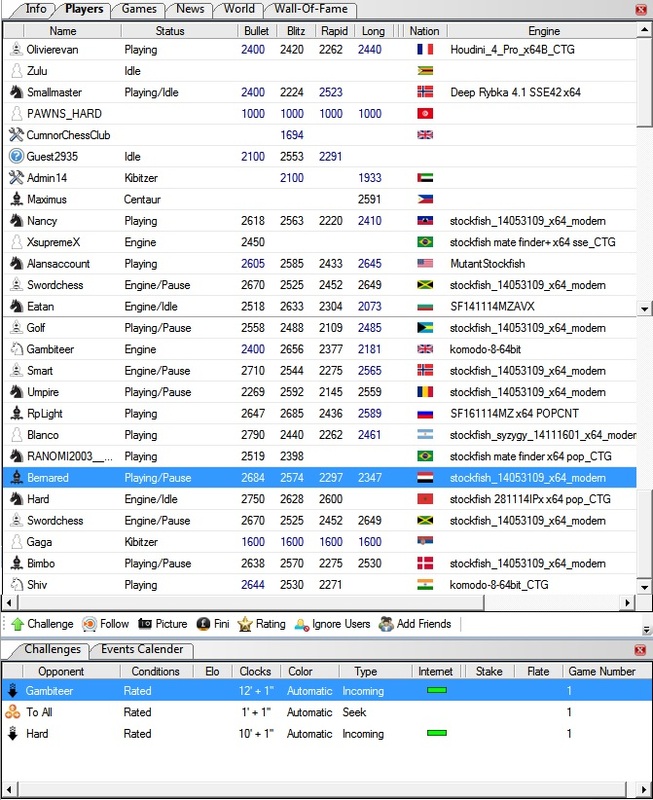 When opponent clock stops and "Claim Win" is disable, you can contact administrator and request to end the game, I see CunnorChessClub administrator entered the room you were, they all help us. And about this 20cores opponent, InfinityChess is a place you will find strong hardwares. PS Picture shows you using Orka and 1CPU, is Orka SP engine? if not, why not select 4CPU or more? I just faced this yesterday. I waited some minutes like 5 or 8 minutes and then "Claim Win" became available. how to load BIN opening book Infinity chess? Load an engine that has option to use its own bin book and put this bin book same folder of the engine.